Does the Pentagon have the body of Bigfoot on ice? What is the U.S. military hiding from us about lake monsters? What is the link between the CIA and the abominable snowman? Why is there a British government file on sea serpents? What do the Russians know about animal ESP? For decades there have been persistent rumors, tales, and legends that government agencies all around the world have been secretly collecting and studying data on bizarre beasts, amazing animals, and strange creatures. Bigfoot, the Loch Ness Monster, sea serpents, psychic pets, the chupacabras, and the abominable snowman have all attracted official, classified interest. 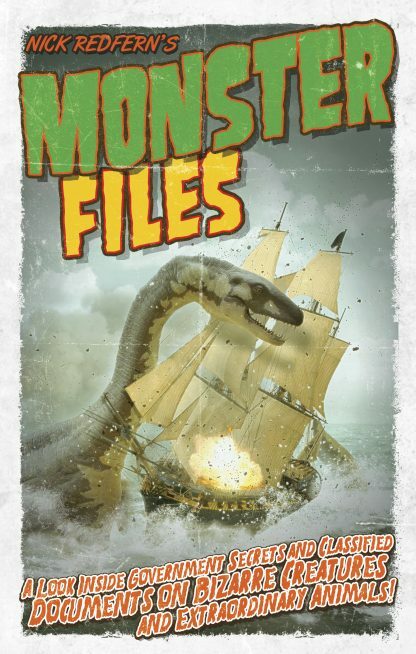 Now, for the first time, the full, fearsome facts are finally revealed in Nick Redfern�s Monster Files. You�ll discover all the amazing cryptozoological truths, conspiracies, and cover-ups behind the secret studies by the Pentagon, the Kremlin, and the British military, among many others. Despite what your parents might have told you when you were a child, monsters, creepy creatures, and terrifying beasts really do exist. And our governments know all about them.